If you've never heard of a 6-foot-3-inch tall, 350-pound black man named Eric Garner and you're only reading this article because of the title, then please take a moment to participate in a unique social experiment. One news source states Mr. Garner had been out on bail and "arrested 31 times since 1988 on charges such as drug possession, selling untaxed cigarettes and assault." This news source continues to explain that when confronted by police, the imposing Eric Garner "becomes irate, denying the charges and refusing to be handcuffed." Eric Garner dies moments later, after his altercation with police entailed officers placing a chokehold upon the former felon. Now stop reading this article; stop what you're doing and close your eyes. Imagine the 350-pound black man with a prior record of over 30 arrests, angry and "irate" while resisting arrest, and ask yourself who was to blame for his death? Think for a moment, and be honest, because even the liberal author of this article, if he were in your position (having never heard of Eric Garner) might also feel he could have done something to provoke his own demise. Now watch this Time magazine video of Eric Garner's death. Garner's death was also officially ruled as a homicide. He was a married man and the father of six children. Then ask yourself if he deserved to die for allegedly selling cigarettes. Most importantly, what would have happened if there wasn't video of the incident? Would there be a support fund of over $700,00 for the officers who choked Garner and would a great number of Americans side with these officers in the manner they sided with George Zimmerman and now Darren Wilson? I have the privilege of having several friends who are LAPD police officers. I know that most cops are good people and never wake up in the morning wanting to inflict pain or death upon anyone. Tens of thousands of police officers throughout the nation interact with people on a daily basis and everyone survives these interactions without a ruling of homicide, as in the case of Eric Garner. 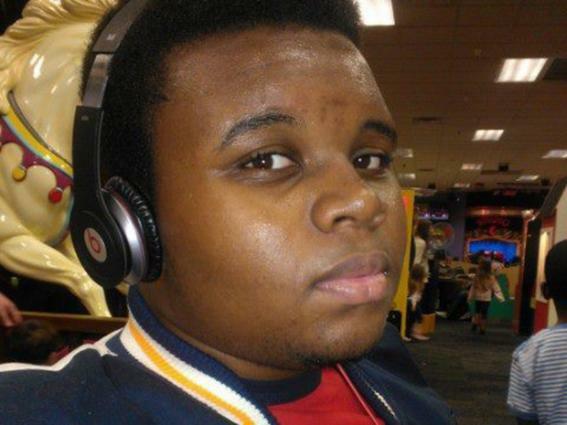 The reason for this sad and un-American reality is that once an unarmed black teenager like Michael Brown or Trayvon Martin is no longer breathing, the shooter can simply claim self-defense or get close to a million dollars in support like Darren Wilson. After all, the fact that being unarmed and walking toward a destination doesn't matter in the minds of many people. If he's a "thug" or a black male who allegedly robbed a convenience store (which the Ferguson officer had no way of knowing at the time), then their fate lies in the fact that they possibly used profanity, presented some sort of threat, or gave their shooters a reason to shoot and kill. Even the testimony of witnesses like Rachel Jeantel or Dorian Johnson, refuting self-defense narratives, are meaningless in the minds of many people. Also, if Trayvon had simply acquiesced to Zimmerman and politely explained to a total stranger what he was doing that night, or if Michael Brown had simply gotten off the street calmly without causing trouble, they'd both be alive, according to many Americans. Sadly, this might very well be true, but it is also true that they didn't deserve to die, especially when they weren't armed, weren't committing a crime, and had every right to say anything they wanted to, or defend themselves from bodily harm, before their deaths. Thus, it is perfectly legal (therefore accepted) in the minds of many people, after the Trayvon Martin shooting, to follow strangers. Therefore, let's take the logic one step further. One must wonder what would have happened to George Zimmerman if he followed and confronted an armed citizen in one of the many open carry states in the U.S. It's quite feasible that if Zimmerman had followed and confronted an NRA member simply walking to his place of residence that night, and it was Zimmerman who was shot by this NRA member (who felt threatened by a total stranger following and confronting him) that Zimmerman's killer would have been exonerated by a rightful claim of self-defense. Conservatives, especially tea party conservatives, ironically have a point when it comes to this issue, even though they'd overwhelming side with the Zimmerman's of the world. Had Trayvon or Michael Brown been 21 years old and armed, the men who confronted them would have thought twice about a physical confrontation. This scenario both highlights the irrationality of automatically siding with their killers, as well as the issue of how race played a role in both deaths. There you go, tea party, this liberal writer sides with you on that point. Dark skin evokes fears of criminality or sharper memories of a purportedly criminal face. Even Black first graders are better able to remember stories in which light-skinned individuals are portrayed positively (or dark-skinned people portrayed negatively) than the reverse. As highlighted by researchers at Harvard, when even black first graders are cognizant that "dark skin" is a negative trait, all Americans should inquire as to how our history as a nation led to this research. If even a black child associates dark skin with something negative, then imagine what was possibly going through the minds of Zimmerman and others before they shot unarmed black men. Fears of criminality, based on research associated with dark skin and examples of such bias like the Willie Horton ad, is what buoys the notion that unarmed human beings deserve their fate. Had there not been video evidence leading to Eric Garner's death being ruled a homicide, his death would have been justified as self-defense by the same people who exonerate Zimmerman, as well as those who blame Michael Brown for his own fate. The fact that many Americans actually state things like "there's nothing wrong with following someone," while at the same time advocating taking assault weapons to Chipotle, should say something about hypocrisy and race in our great nation. It also says that too many unarmed black citizens are losing their lives because of the belief that they pose a threat: standing outside a store, walking toward a residence, or crossing a street in Ferguson.